The appearance of your home depends to a large extent on how its exterior looks. In fact, that’s one of the first things that anyone notices about a property. In this respect, the landscaping design has a very important a role to play and when you look for a landscape architect; it’s a good idea to hire the services of a company that will also handle the installation work for you. As a landscape design-build firm, we do it all. We are the experts that ensure your landscape is well-balanced in every way. 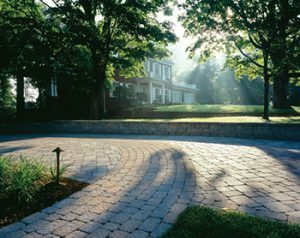 Care is taken to ensure that the hardscaping is installed with care and that everything is perfect in every manner. This attention to detail and the fact that we never compromise on quality is what sets us apart from the competition. We have worked very consistently and ensured that every job takes up is completed to the highest standards. While some customers hire us for end-to-end design and installation services, others want certain landscape features added in phases. Some of our customers call us for these landscape upgrades and we are more than happy to handle all types of jobs. When you hire us for your yard installation work, you are assured of the best solutions at the most reasonable pricing. You will also notice that we are extremely professional in our approach to our work and that all our personnel are extremely friendly and professional too. Your landscape design and installation work will be completed to your highest standards. Regardless of whether you want the design and installation of the entire landscape done, or want just a single feature installed in your yard, we at Ivy Studio can help. We are the experts that provide comprehensive luxury landscaping solutions. For more information, give us a call at 617-396-4003 or head over to our Start a Project page to send us details of your upcoming landscaping projects and we will give you the solutions you need.